This video from The Harvard Library, which holds the largest academic collection in the world, shows how a rare book with a broken cover is preserved. Using old-fashioned techniques combined with modern ones, the old cover is removed from the spine and the pages are glued and stitched back together on the new cloth cover. The conservation lab uses a variety of sophisticated equipment and tools such as scalpels, brushes, spatulas, and adhesives to keep old books and rare objects from deteriorating further. The program employs expert staff committed to ensuring that library materials remain secure and usable for contemporary and future scholars. 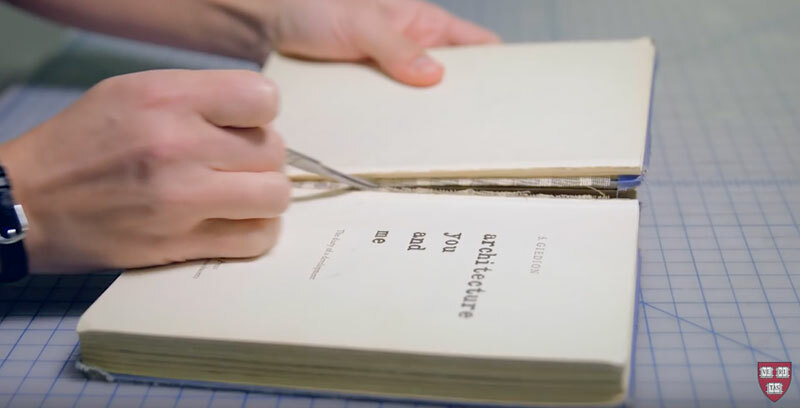 This video from The Harvard Library, which holds the largest academic collection in the world, shows how a rare book with a broken cover is preserved.